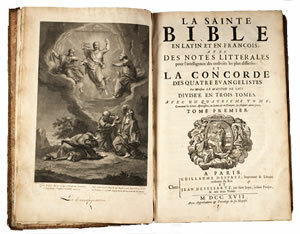 Paris: Guillaume Desprez et Jean Desessartz, 1717. 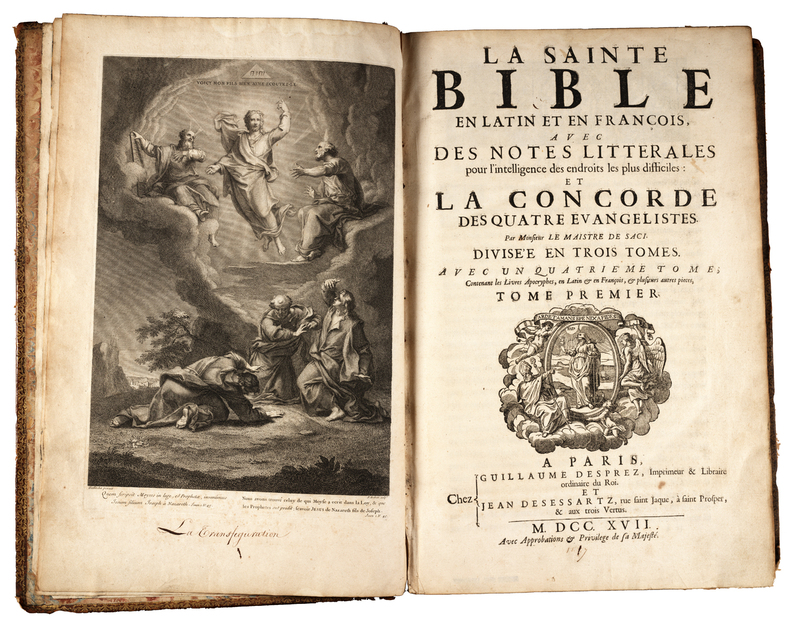 One of our largest early Bibles in three volumes measuring 16 x 11 inches with numerous annotations and notes. The first page of each book is headed by an engraved illustration. This engraved frontispiece illustrates the Transfiguration.